Matthias Haeni Big Data Scientist WSL | Altmetric quite useful! 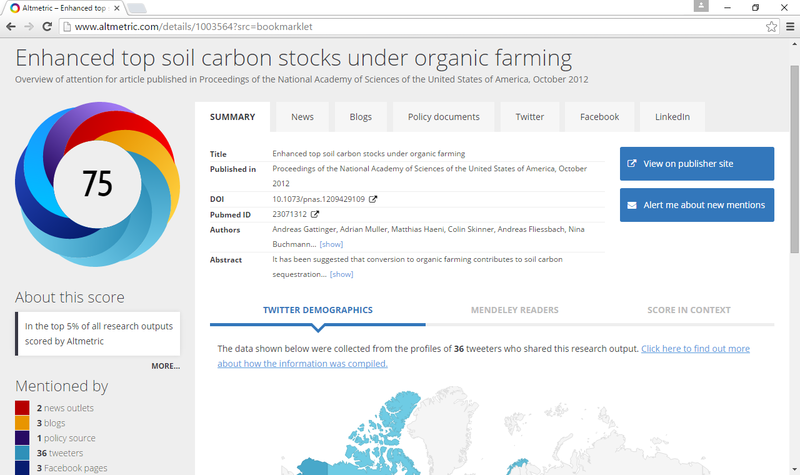 I read about Altmetric a few times now and I tried it out today. It's very useful, especially, because it gives a very broad yet detailed overview of how a scientific article has been received in research, including in social media and other sources. For the article where I was co-author (PNAS: https://matthiashaeni.ch/research/gattinger2012pnas) it says that it's an article in the top 5% of all research outputs scored by Altmetric!